Heineken recently announced it has contracted to deploy its first solar power project in Africa, a small, but nonetheless significant, 650-kW rooftop PV system at subsidiary Nigerian Breweries' Ibadan Brewery. The project is another instance of private-sector companies' growing investments in distributed, emissions-free energy and sustainable development in Africa, home to six of the 10 fastest growing economies in the world in 2018. It's also significant in that it marks the signing of the first solar power purchase agreement (PPA) for a major Nigerian company, as well as for Heineken in Africa. Slated for commissioning this year, it's anticipated the 1 GWh per year of solar electricity produced will reduce Nigerian Breweries' carbon dioxide (CO2) emissions by more than 10,000 metric tons over the solar PPA's 15-year term. Turning to the financial bottom line, Nigerian Breweries will be paying only for the actual energy produced along with monitoring, maintenance, insurance and financing costs included in a single, monthly bill, and that will come at "a significant discount to their current cost of power," builder, operator and owner CrossBoundary Energy highlights. The Heineken-Nigerian Breweries rooftop solar power project will contribute to the Nigerian Electricity Regulatory Commission’s (NERC) goal of overseeing 2,000 MW of renewable power capacity being installed across the country by 2020. It also reflects the expanding number and range of solar and distributed solar and clean energy projects in Sub-Saharan Africa in which Cross Boundary Energy is playing a significant, if not principal role. CrossBoundary will be installing and operating the Nigerian Breweries solar power plant. Increasing the share of renewable energy it uses from a current 14 percent to 70 percent by 2030 is one of the Heineken Drop the C program's primary goals. In addition, the company's Brewing a Better World initiative sets a target of reducing CO2 emissions 40 percent by 2030, explained Supply Chain Director Martin Kochl. CrossBoundary Energy's Head of Business Development Femi Fadugba highlighted that deployment and operation of the rooftop solar PV system comes at no up-front cost, and CrossBoundary assumes all the associated technical risks. "I’m also proud that this flagship project – the first of its kind in Nigeria – will be launched in my family’s hometown of Ibadan,” she was quoted as saying. With a useful life of 25-plus years, the project will create at least a dozen engineering, construction and maintenance jobs during installation, according to CrossBoundary. "Through financing packages like the one being offered by CrossBoundary Energy, Nigeria’s renewable energy sector can provide much-needed green jobs, tap global capital, improve access to affordable, reliable power for businesses, and enable Nigeria to fulfill its enormous economic potential," management stated. Additional support for the project was provided by The Shell Foundation and the Solar Nigeria program, an initiative launched and run by Adam Smith International with funding from UK Aid. The Heineken-Nigerian Breweries rooftop solar project is the latest in CrossBoundary's expanding range of solar power project development activities in Sub-Saharan Africa. Established last May along with its Minigrid Innovation Lab, the CrossBoundary Energy Access fund recently announced it is investing an initial $16 million of new capital to finance some 190 solar minigrids, each with a capacity of 6 kW-1 MW, across Sub-Saharan Africa. It's expected the minigrids will deliver low-, if not zero-emissions electricity to nearly 34,000 off-grid, rural households and businesses across its service footprint, one in which some 70,000 people lack energy access, according to The Rockefeller Foundation, which provided $5 million in mezzanine debt financing to seed and launch the fund. “The minigrid development fund will primarily be investing in solar-powered minigrid systems with a view towards enabling productive use and rural household electrification,” Matthew Herrick, The Rockefeller Foundation’s managing director of communications, was quoted in an industry news report. The fund will focus initially on Tanzania and Zambia, in light of their strong network of developers and favorable regulatory and macroeconomic environments, he added. CrossBoundary’s advisory team has advised on more than $500 million of deals in Africa since its founding in 2011, Herrick added. 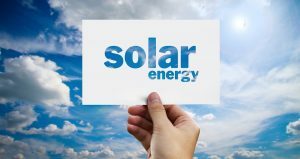 CrossBoundary launched its CrossBoundary Energy project development group in 2015 to invest in commercial and industrial (C&I) solar in Africa.